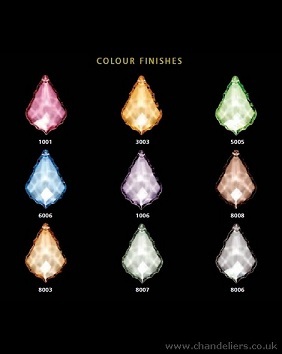 Exclusive to chandeliers uk, beautiful single wall sconce with oval shaped coloured Bohemian 30% PbO crystals (see colour chart below). Rope twist glass arms, ornate glass bobeches and white glass candle holders. Elegant design.